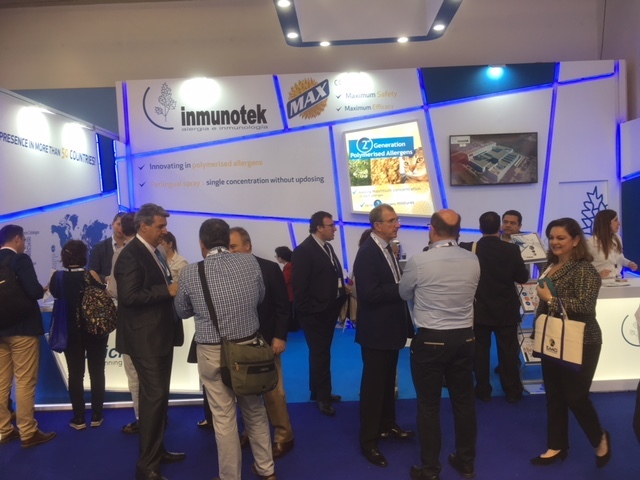 INMUNOTEK has been present at the annual congress of the European Academy of Allergy and Clinical Immunology (EAACI 2018), the largest European medical association in the field of allergy and clinical immunology. Held at the International Congress Center of Munich (ICM) last May, EAACI 2018 had the participation of nearly 8,000 delegates from more than 100 countries. At the stand of INMUNOTEK, many delegates interested in our products have been attended by representatives of our international partners. The participation of INMUNOTEK has also been scientific, achieving two awards in studies in which it has collaborated.